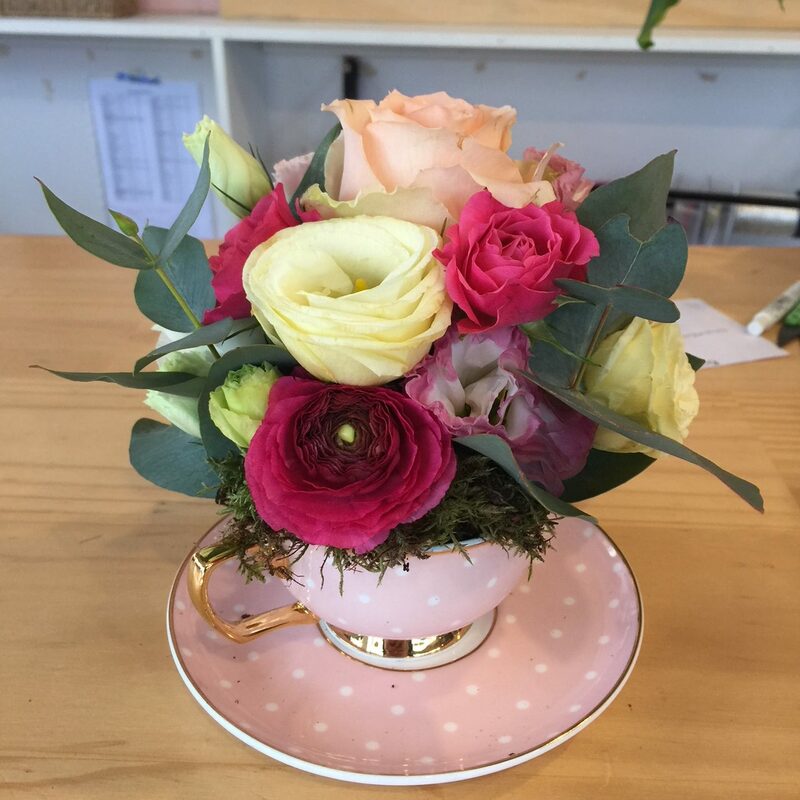 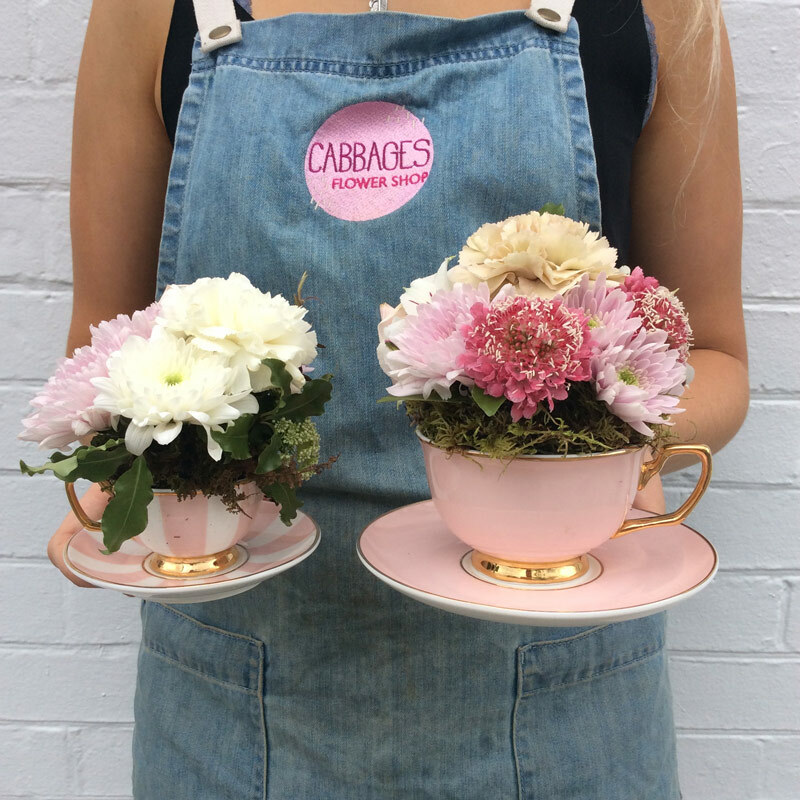 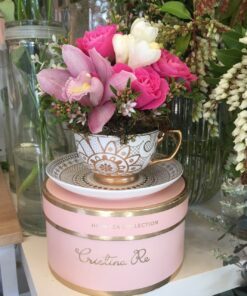 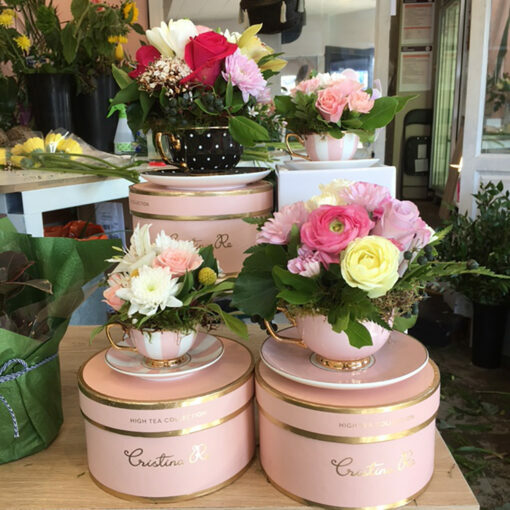 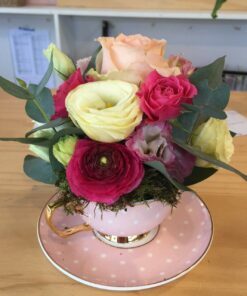 Our gorgeous Cristina Re teacup filled with pretty seasonal flowers. 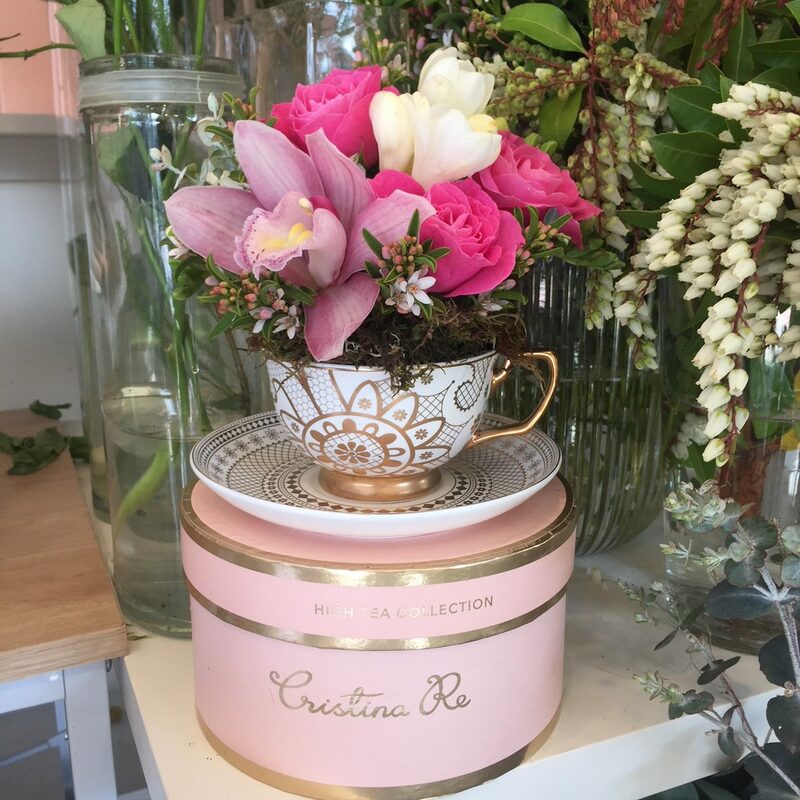 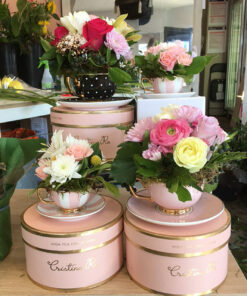 The perfect floral gift with a keepsake tea cup and saucer. 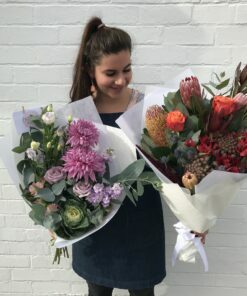 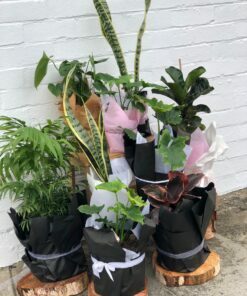 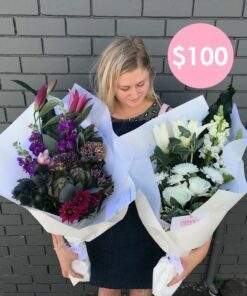 Our website pics give you an idea of our style and sizes – all blooms are subject to seasonality and we will choose the best of the day for you. Available in mini (80ml) or standard (220ml) sizes. 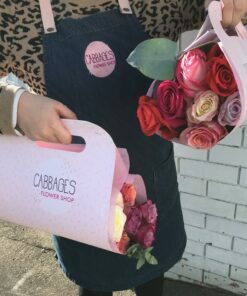 We deliver all over Hobart, Monday to Friday. 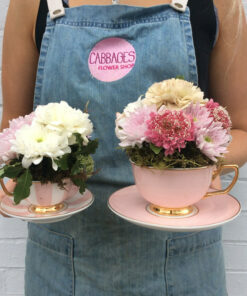 All orders before 1pm can have same day delivery. 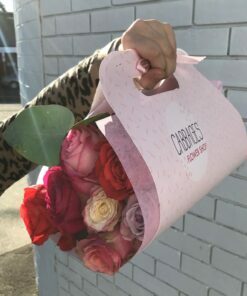 For Saturday deliveries, please contact us directly on (03) 6245 0660.